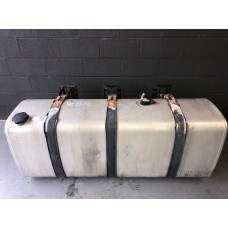 Vintage Volvo F10 / F12 Fuel Tank 600LO/E Part No. 260109 Superseded to 8156643 Many more tru..
Vintage Volvo F10 Diesel Fuel Tank 400LPart No: 260110Minor Defect: Small bend in the left hand side..
Vintage Volvo F12 Diesel Fuel Tank Approx. 700LApprox. 160cm Long..
Volvo FH / FM Aluminium D Shaped Adblue TankApprox. 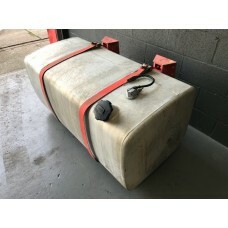 Dimensions: 34cm Width (Left to Right)72cm ..
Volvo FH / FM Plastic Mk 1 Adblue Tank Euro 4Removed from a 2007 Volvo FH13 fitted with Mk 1 Adblue ..
Volvo FH / FM Plastic Mk 2 Adblue Tank Euro 4Part No: 208 564 64..
Volvo FH Series Diesel Fuel Tank 730L D Shaped A few dents here and there, complete with straps,..
Volvo FL6 Steel Diesel Fuel Tank Approx. 350 LitrePlease note the key is not available..